This version of the famous Hail the Conquering Hero opens with a solo cornet, gradually adds voices and builds in dynamic, then the sound drops to a solo tuba and begins to grow again to a stirring climax. This series allows the maximum in flexibility for developing brass musicians in the British Brass Band tradition. 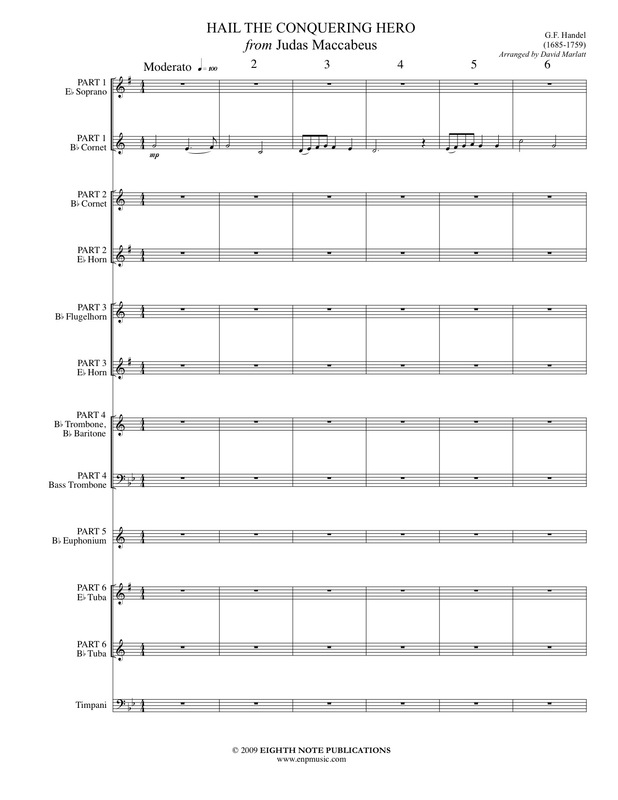 Each composition or arrangement has 6-7 unique parts with various percussion. Each part has several different transposition options. This allows for performance with as few players as 7 or performance by a full band instrumentation. The range, endurance and technical demands are all carefully considered when writing for less experienced players.